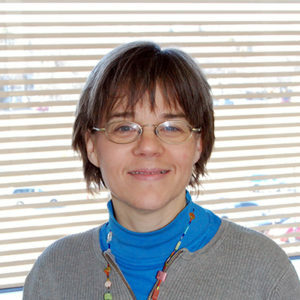 Mary Locast, OTR, is an occupational therapist with the Augmentative Communication Aids and Systems, Cerebral Palsy and Spasticity and Movement Disorders Clinics and the Waisman Center Early Childhood Program. She provides evaluation of fine motor, visual motor/visual perceptual, cognitive, sensory processing/modulation, equipment/splinting needs and functional activity of daily living skills. This includes access to AAC systems which enhance communication with provision of activity and resource information as it relates to client and family needs.